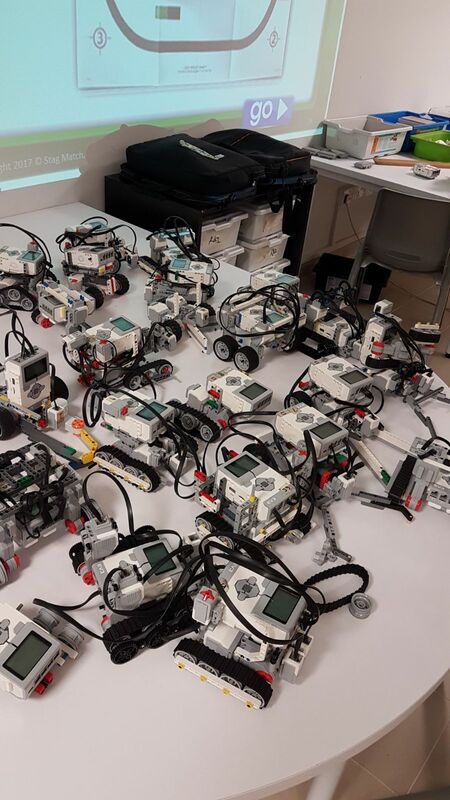 Are Filipino Children ready to learn Robotics? Robotics is the application of math, science, engineering and technology. This study fosters innovation, which is a critical skill that our children must master to success in life. SMET robotics program will allow kids to learn a number of skills they can use in the real world like critical thinking, creativity and. problem-solving skills. Now in the midst of automation, our world will need more young innovators excel in robotics and automation so that in the future, they can have the skills to invent their own! Nowadays, “STEM” is an important educational topic sweeping through homes and schools in the Philippines as part of the K-12 program. STEM is an acronym for science, technology, engineering, and math. With this, Private and Science High Schools has started focusing on robotics in the form of dedicated subjects or extracurricular clubs. A few years ago, robotics was only considered as a hobby for the rich and the high achievers. Now that it is offered as an elective in high schools due to the K-12 program, Robotics becomes a significant part of the school curriculum. More children can now potentially excel in this field. However, the K-12 program, being relatively new, needs supplement programs like SMET. Only some of the schools can match your child’s hunger for a deeper understanding of robotics as the focus, resources or time dedicated by the school for this elective varies greatly. Surely, the standard 1-hour per week, once a week schedule will not be enough to fully master the technology. With more demand, there is an expected clamor for better resources and out of school programs. The Filipino child is ready for the future and as an enrichment program, the SMET Robotics Program from Singapore, can supplement, if not, surpass the robotics knowledge Filipino children can have in school. The SMET program is open for franchising anywhere in the Philippines and what better investment this is? Not only can you be an instrument to better the Filipino children’s future, but you’re also banking on a business that has a ready market. StagMatch Education and Training Group (SMET) is an international Franchise with centres in Singapore, Malaysia, Australia and Philippines. SMET originated in Singapore and now currently has 19 centers and continuously grows in other countries. To put-up your own SMET Robotics Center, estimated total investment is PHP 1.3M-1.5M inclusive of franchise fee, training, robots, other equipment, furniture, renovation and marketing collaterals. Don’t fret! Owners and SMET trainers need not have formal robotics background or work experience, because SMET will provide training, curriculum and step-by-step teaching manual. Teachers must be at least graduates of Engineering or Programming courses. Opening a SMET Robotics Center in your community opens the opportunity to provide robotics training to students from 6 to 18 years old. SMET students also compete internationally and your SMET center can coach Robotics team and represent the Philippines in national and international competition. Disrupt the industry by offering the latest technology in DIY Robotics training! SMET will launch new programs in the Philippines every year to be at par with Singapore and international standards.